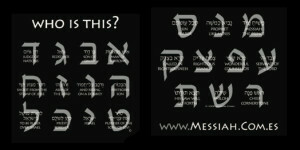 Mishkan HaShofar is a 501 (c) 3 non-profit organization and all donations are tax deductible under federal and state law. You can donate using the form below, or by printing out this pdf file and mail it to our office. Support our College Fund by buying a t-shirt! They’re just below the donation form. 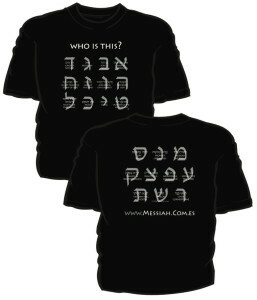 This shirt has all of the letters of the Hebrew alef-bet with corresponding names for Jesus in Hebrew with the English translation. Please help support our college scholarship fund with the purchase of a T-Shirt. Each semester Mishkan HaShofar Congregation asks college students to answer an essay question on how they will witness the Jewish Jesus on their campus. The board of directors reads the essays and selects the best effort for a small stipend that the college student can use as needed. Mishkan HaShofar Congregation strongly supports training the next generation with the truth of the Jewish Messiah that they may have a positive influence in the world (Isaiah 49:5-8). The price of the shirt is $20 and $4.99 shipping and handling.